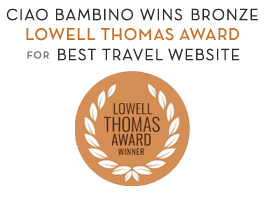 Loews New Orleans - Ciao Bambino! Loews New Orleans has a prime location in the Central Business District downtown, which is convenient for visitors yet feels quiet at the end of the day. It’s a quick streetcar ride from here to French Quarter sightseeing. The property has nearly 300 rooms and suites, all spacious, chic and comfortable. Some have river views, while others look out to the city skyline. Connecting rooms and rooms with pullout sofa beds are well suited for families. Kids and teens get welcome gifts at check-in, and a special Kids’ Closet is stocked with car seats, infant tubs, strollers, toys, childproofing kits and more. When it’s time to relax onsite, kids can splash in the indoor lap pool and hot tub while parents lounge on cozy chaises nearby. The Balance Spa is an adults-only sanctuary. Cafe Adelaide, the hotel restaurant, is a true destination — it’s owned by New Orleans’ famed Brennan family of restaurateurs, and the food is first-rate.